The Rapiscan Itemiser DX and Itemiser 4DX are extremely sensitive narcotic and explosive trace detection instruments that can detect incredibly small amounts of particles…as small as one billionth of a gram. To put that in perspective that is equivalent to about three seconds in a century. Despite this sensitivity there are a number of maintenance tasks that operators should perform on these units on a per shift, weekly and monthly basis. The maintenance supplies we offer are all used in the cleaning maintenance process and are of the highest quality to ensure optimal performance of the supplies and of the equipment. Perhaps one of the most unappreciated and overlooked maintenance items are the cotton gloves. 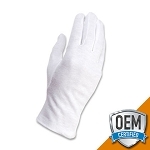 The manufacturer strongly recommends that cotton gloves be worn for all maintenance procedures. This insures that operator body oils are not transferred to the equipment and that all unit surfaces are kept clean and contaminant free. 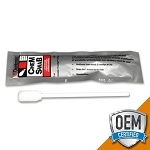 Our Basic Cleaning Kit includes Pre-Saturated Isopropyl Alcohol Wipes (100ct tub), Isopropyl Saturated Swabs and Canned Air…a great entry level kit to begin to undertake starter level operator cleaning maintenance. 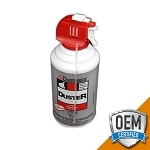 A cost effective, long term alternative to our standard Canned Air is the new Canless Air System. This battery powered rechargeable system can project an air speed of about 200 MPH and can run continuously for about 15 minutes on each charge. 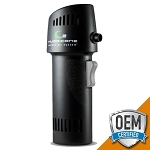 With a recharging life cycle of about 500 charges the Canless Air System equates to about 10,000 cans of air. 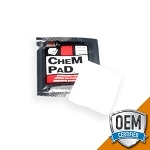 Whether it’s wipes, swabs, printer paper, air or gloves our Maintenance Supplies are an essential component to your Itemiser DX and Itemiser 4DX cleaning tool bag and are recommended for use by the equipment manufacturer in accordance with the TSA Maintenance and Operator Manual.